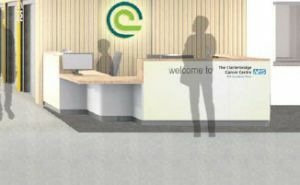 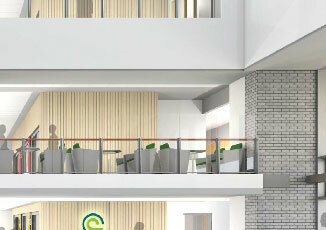 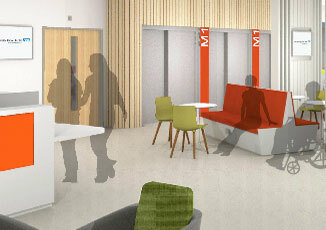 The main reception desk will be a central focus to welcome patients and visitors. 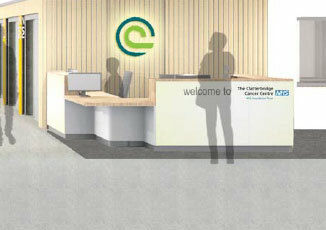 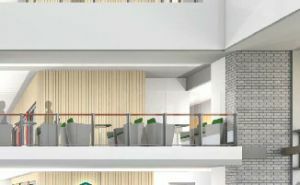 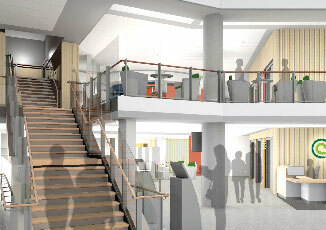 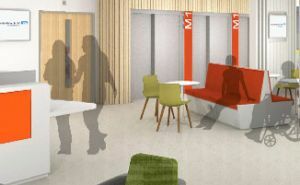 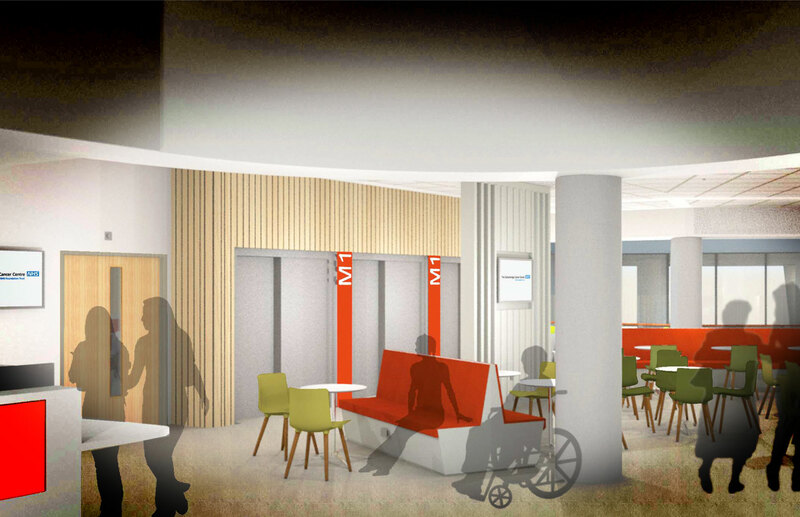 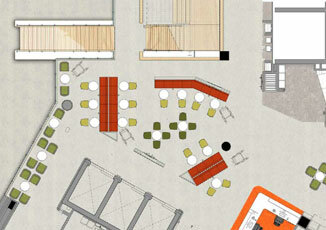 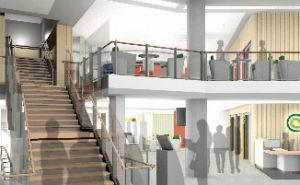 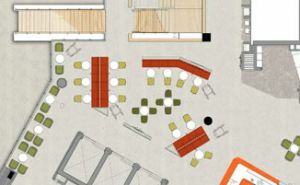 Large open space will house cancer information centre and benefits advice service. 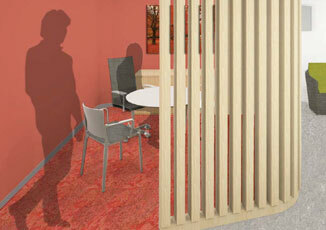 There will also be three quiet rooms for more private discussions. 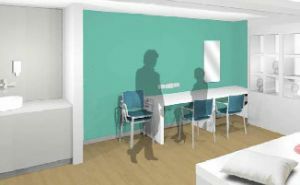 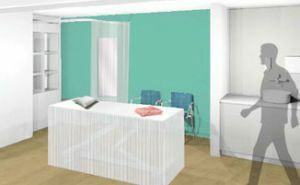 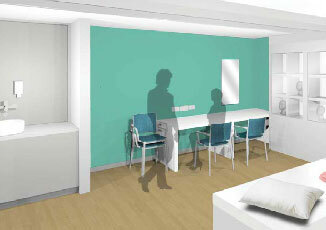 A multi-use room will offer patients space for complementary therapies. Ambulance waiting lounge for patients using transport service.